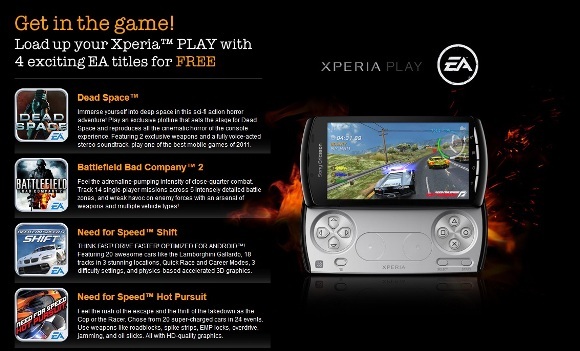 Electronic Arts is giving away four game titles free of cost for the Sony Ericsson Xperia Play. Owners of the Xperia Play can now rejoice as titles including Dead Space, Battlefield Bad Company 2, Need for Speed: Shift and Need for Speed: Hot Pursuit can be downloaded for free. The free games will be available from October till 15th January 2012, so its treat !